The only complete, all-in-one detoxifying intestinal cleansing system to get your insides squeaky clean. The safest, most effective intestinal cleansing system you'll ever use! 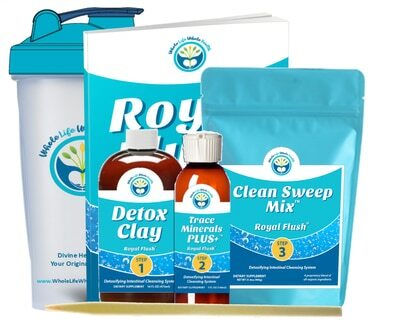 The Royal Flush® is not intended to treat or cure any disease. *Clean Sweep Mix™ is a proprietary blend of all-organic ingredients. are trademarks of Whole Life Whole Health, LLC.